Want to know the best places to see in Namibia, what you should not miss on your itinerary? Namibia is kind of paradise for wildlife and landscape lovers. From the red sand dunes of Sossusvlei to the elephants and lions of Etosha National Park, there are many things to see and do. Discover my own top 5 and the reasons behind! 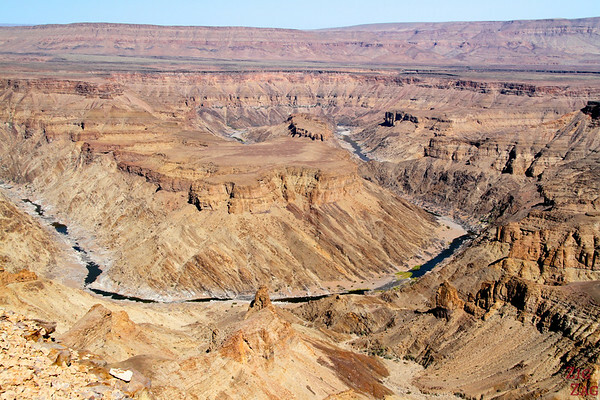 Fish river is the largest canyon in Africa. It is a gigantic ravine 160 km long and up to 27 km wide. In some places it reaches a depth of 550 meters. The river which carved it flowed intermittently and the surrounding plateau is extremely dry. It is as impressive as the grand canyon and yet there are almost no tourist. It is incredible to enjoy such a landscape practically by yourself! Definitely of top thing to see. 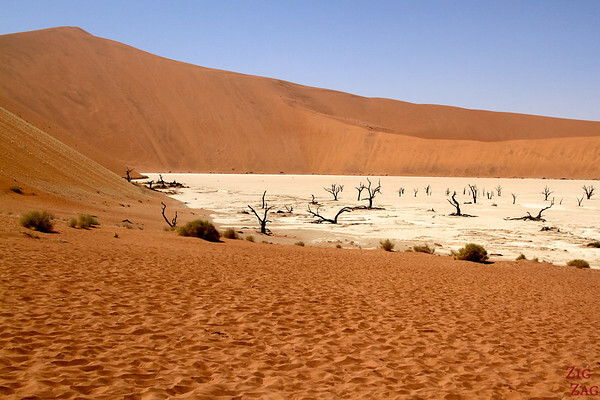 Deadvlei is a clay pan surrounded by some of the highest sand dunes in the world (350 meters). Dead acacia trees are spread in the pan, creating a surreal landscape. This is such a unique place. The combination of the red high sand dunes, the pan and the dead tree! Plus I love photographing dead trees. Not sure why… But this place was a real treat. I just wish I had not been so tired from our 3 hour walk before as I had to see and did not explored it as much as I would have wanted. An experience to add to your itinerary! 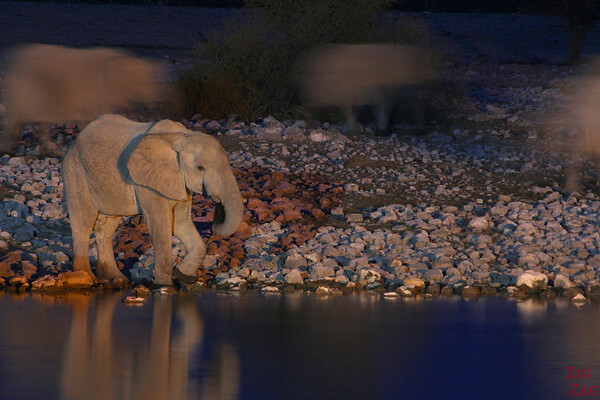 This waterhole is just near the Okaukuejo rest camp, the administrative center of the Etosha National Park. It is lit at night and there are benches high above the hole for great viewing while staying safe. When I am on a tour, I cannot wander as much as I want. As I stayed at this campsite, I was able to spend as much time as I wanted there. At 5AM, I saw a group of 30 elephants slowly leaving the hole. A magical moment! See more photos at the waterhole in my article dedicated to the elephants of Etosha. 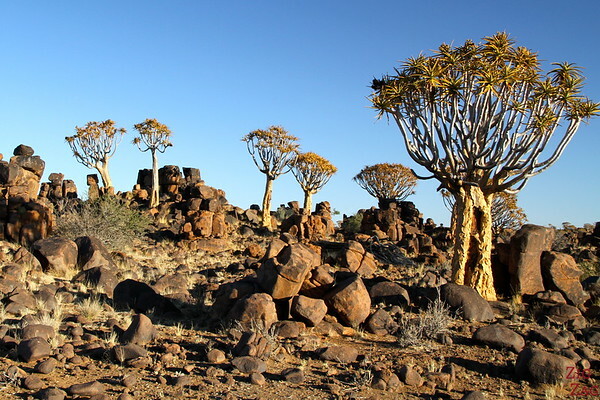 Located in the South of Namibia, this area combine huge stacks of dolerite rocks which look like lego for giant's and intriguing quiver trees (which are not trees but aloes) with dichotomy shapes. This is a type of landscape I had never seen before. The trees and the rocks would already have been great separately, but together this place is pretty unique and I must admit I hesitated to give it the first place. 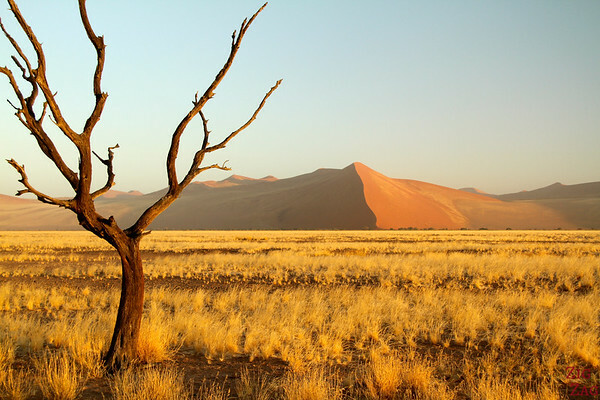 Sossuvlei is a clay pan in the middle of the Namib desert and often refer to the whole surrounding area. It is home to some of the highest sand dunes in the world. Absolute must visit in Namibia, the red sand dunes of Sossusvlei reveal all their beauty at sunrise. I personally did not climb Dune 45 with the flow of tourists, but walked in the middle of the dunes admiring them changing colors. On the picture is the dune across Dune 45. Probably the most famous thing to do in Namibia!